Roanoke Catholic Schools –540-982-3532 Roanoke Catholic School is dedicated to excellence in education and to the spiritual development of youth within the framework of the Gospel and the tradition of the Catholic Church. Our fundamental task is the education of the whole person, blending learning with faith and faith with daily life. We strive to instill in our students a lifelong commitment to learning, to Christian values, and to community service. We are dedicated to achieving these goals in a supportive Christian community. Botetourt Food Pantry – 540-4732370 A local food pantry located in Fincastle that offers groceries to poor families in Botetourt County. Open every Saturday morning. 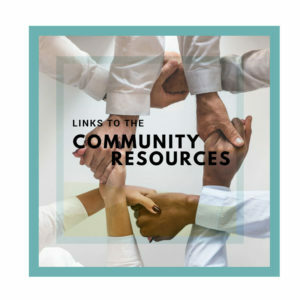 Botetourt Resource Center – 540-254-1468 A general service agency that helps those in need to get connected with social services in the area, including medical care, job search, housing, clothing, and food pantry. Located in Buchanan, the center helps families throughout Botetourt County. Christian Free Clinic – 540-353-0509 Clinic is located in the Sunday School wing on the lower level of Fincastle Baptist Church, 7330 Roanoke Road Fincastle VA 24090. The clinic is open every Tuesday evening, Registration 5:50-6:30 pm. St. Francis Food Pantry – 540-345-9090 A food pantry located in downtown Roanoke that offers groceries to poor families in the Roanoke Valley. Madonna House – 540-343-8464 In 1979, Bishop Walter F. Sullivan invited Catherine Doherty to open a prayer house in Roanoke. He asked that it be a visible prayer presence among the people in the Richmond diocese. It has become known as a “prayer listening house.” They have sparsely furnished rooms where one can go for 24 hours to fast and pray with bread and water and the Word of God in the Bible. Catholic Historical Society – 540-982-0512 A museum and religious goods shop located in downtown Roanoke that maintains a true treasure trove of Catholic history with exhibits that display the richness of our traditions, devotions, and rituals. Click here to view their website. Commonwealth Catholic Charities – 540-342-0411 The mission of Commonwealth Catholic Charities is to provide quality, compassionate human services to all people, especially the most vulnerable. Commonwealth Catholic Charities empowers individuals, strengthens families and builds community through faith and service. R.A.M. (Roanoke Area Ministries) – 540-345-8850 RAM provides support and serves as an advocate for the homeless and poor. RAM helps people in need through a variety of programs, including emergency financial assistance, employment counseling, and placement, hot midday meals served 365 days a year and day shelter for the homeless. Our Lady Of The Valley Retirement Community – 540-345-5111 Located just blocks from Center In The Square in the heart of Roanoke, is a caring Retirement Community with three levels of specialized Assisted Living, Skilled and Intermediate Nursing Home care.